The other day the sun was shining and we decided to go out for a walk. We chose to go to Northala Fields which is a lovely open space near us. It opened in 2008 and turned waste from the original Wembley Stadium and Westfield White City shopping centre into a new park. 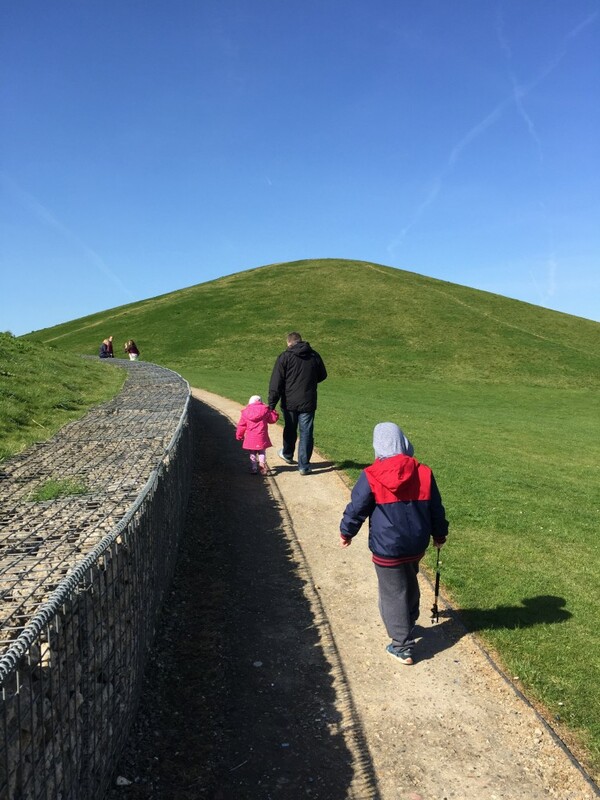 There are four large conical earth mounds alongside the A40 which we drive past and always mean to walk up. Well this was the day! We parked at the bottom of the mounds, put on our coats and started to walk. I think we underestimated how windy it was! It took us a while to climb due to the wind. We kept getting over taken by runners and cyclists as the mounds are a really popular place. It was lovely and sunny despite the wind and we stopped for plenty of photos. 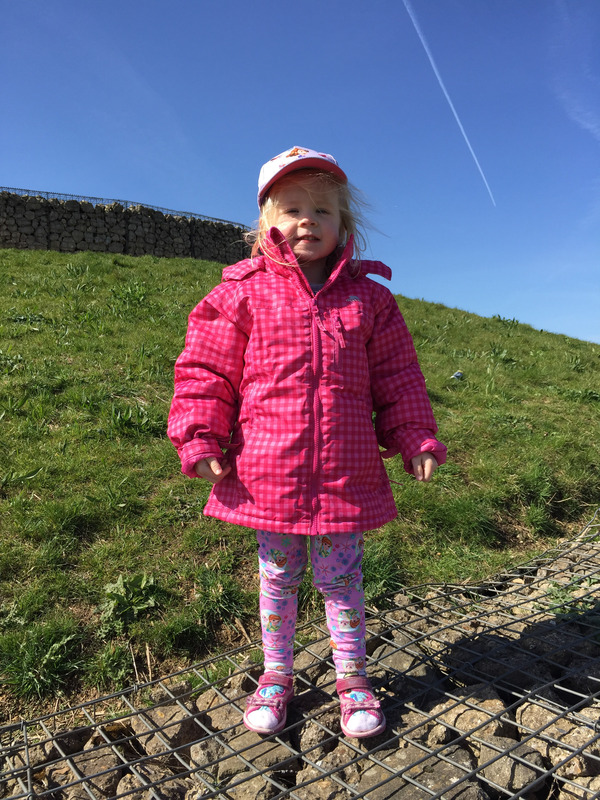 Luckily Little Sis had her new colourful Trespass jacket on which kept her really warm and cosy as it was windproof. Eventually we reached the top of the tallest mound which was 22 metres. The view was amazing, providing a 360-degree panoramic view of the surrounding area including central London and Canary Wharf. It was fun to spot some of our favourite London landmarks. When we had hidden from the wind for a moment we started the descent. Daddy and Big Brother tried to confuse us by not using the path but we eventually found each other and carried on back down. 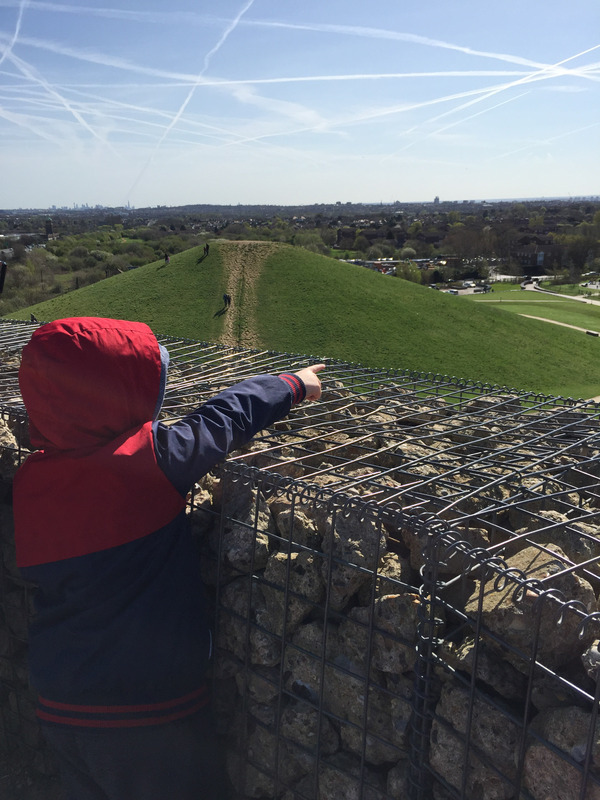 There were plenty of opportunities to sit down and admire the view on the benches built into the mound, the children were also happy to climb some of the lower parts. 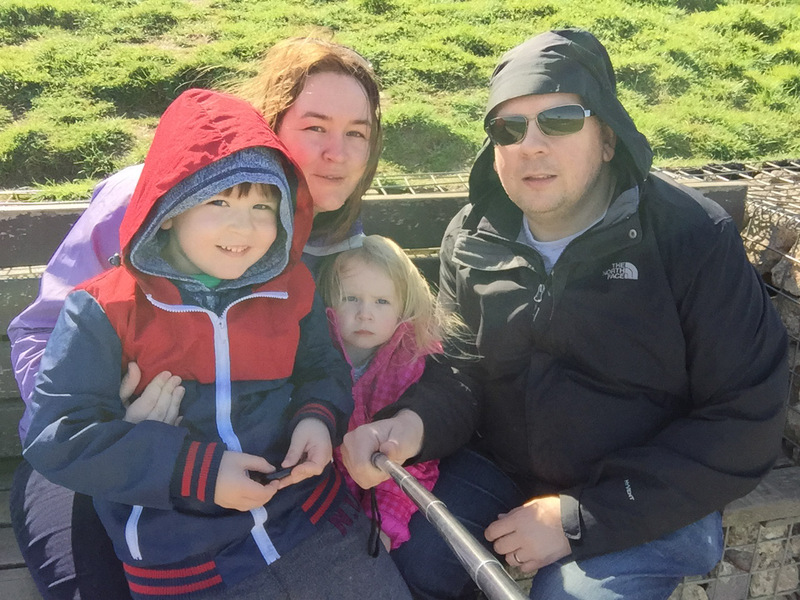 Once we had got back down we took a family photo with our selfie stick! We were really glad to have finally climbed one of the mounds. Little Sis was kindly sent the lovely new Wishful Girls Waterproof Jacket from Trespass. I chose the next size up as she’s growing really quickly and I’m hoping the wet weather is behind us (wishful thinking!). The outer material is waterproof to 2000mm, windproof and has clever taped seams which prevents moisture from entering the jacket through the stitching. There is also a microfleece lining, for adding warmth and comfort. Additional features include a detachable hood, 3 zip pockets and elasticated cuffs with easy adjustment tabs. This is a great jacket for this time of year as it keeps her warm. She only needs to wear a thin layer underneath but there’s plenty of room to add more layers if needed. She adores the colour and pattern and I think I may be investing in something similar for her brother soon.